What Can Flotation Therapy Do for You? You might have heard friends or loved ones raving about flotation therapy and found yourself wondering what all the buzz is about. Afterall, what’s so amazing about floating in a pool by yourself? In truth, there’s a wide variety of benefits to be reaped from this innovative and natural spa treatment. At Radiance Day Spa in Sioux Falls, we offer the area’s only open float pool as well as the only couples float pool. Contact us today to learn more and book your session. In the meantime, let’s check out a few ways you may benefit from this treatment. What could be more relaxing than the feeling of weightlessness as you float in pure silence and minimal lighting? When you don’t have to focus on your primary senses, your mind is free to relax, rejuvenate, and revitalize itself, easing the symptoms of stress, anxiety, depression, and other energy-draining mindsets. 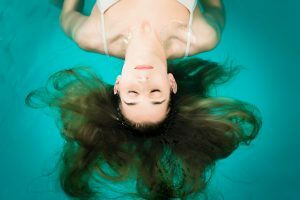 If you’re someone that suffers from frequent tension headaches, flotation therapy may be just the treatment you need to encourage your neck and shoulder muscles to relax. Continued therapy can help keep them loose and limber, eliminating the tension that causes your frequent headaches. When you enter a float pool, you’ll be floating in water that’s been enhanced to provide optimal therapeutic benefit for your immune system. 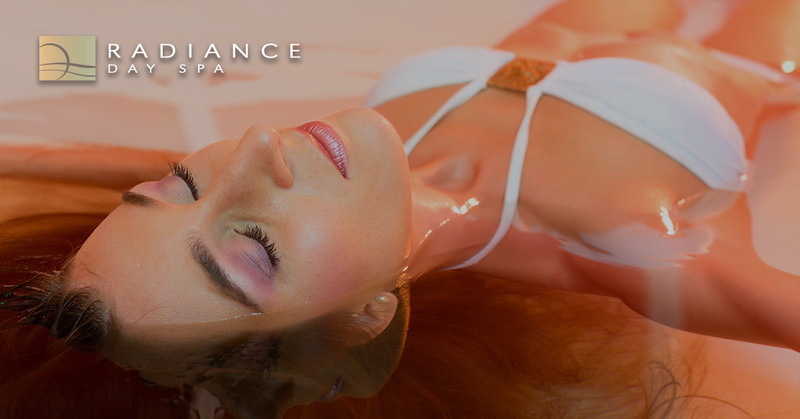 At Radiance Day Spa, our float pool water is infused with magnesium sulfate to provide your body with key nutrients that are essential to improve immune function and detoxify your body. Along with improved immune function and natural detoxification, the salt-infused water of the float pool also aids by increasing blood flow to your muscles. Lactic acid levels known for causing stiffness and muscle tightness are also decreased. In turn, this helps muscle tissue recover and repair itself more efficiently. With the ability to relax, calm stress and anxiety, and reduce negativity comes improved mental clarity and function. With routine flotation therapy sessions, you’re likely to experience increased creativity, positive thoughts, motivation, and focus as you become more in tune with your body and it’s own natural rhythm. Are you someone who suffers chronic pain from a neck or back injury condition? Do you have arthritis, multiple sclerosis, fibromyalgia, or another source of constant pain? A soak in one of the float pools at Radiance Day Spa can encourage spine decompression, reduce swelling, and take pressure off your joints, providing a much-needed refuge from endless pain. These are just a few of the advantages of flotation therapy, and we encourage you to discover the full range of mental and physical benefits to be had from this treatment. At Radiance Day Spa, we pride ourselves in offering leading spa services to residents of the Sioux Falls area. From guaranteed sanitation to highly-trained staff, we spare no expense to ensure your 100 percent satisfaction during your time with us. To learn more about our Renew Float Lounge and the float packages we offer, contact us today at 605-275-9535. We can’t wait to hear from you!